things you can do to light it up. bright white and mellow yellow light in the middle. Why LED lights, you ask? They are particularly useful in infusing the party with the right mood. lights you use, as long as you opt for the high-quality ones. shapes and sizes, you can use them for any type of events. hang the bottle around. They can be added to light the path to your party tents. you have time to make them. purchase lights for tents online. way for you to make a lasting impression on your guests. candlelight with your tent wash lights. lantern effect through LED lanterns. you running out of gas before the event is over. every year. But make sure that you obtain the tents from a reputable seller, like Party Tents Tampa. This entry was posted in Large Party Tents, Tent for Sale and tagged Affordable Party Tents, party tents for sale tampa on March 19, 2019 by Tents Tampa. If you have not done it yet, make sure to purchase brand new affordable tents in Tampa Florida for your upcoming events in Tampa Florida. The affordable tents from Party Tents Tampa are of high quality.However, despite their affordability, you still need to maintain them. In that way, you can still use them for many years.It is true that the tents we sell here are durable. But they can deteriorate without proper care. Maintain Affordable Tents in Tampa Florida We received quite a few inquiries on how to take care of the party tents. Here are some of our suggestions. 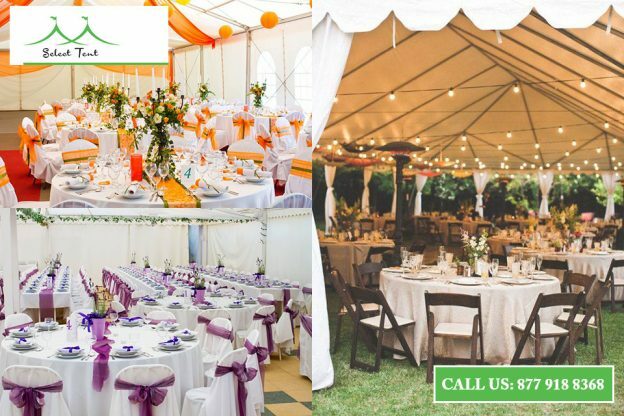 After using the affordable tents for your party in Tampa, Florida, make sure to get rid of the dirt and stains, as well as grime, before you store them. If you do not clean them before you put the tents in storage, they can deteriorate quickly. You may use water in cleaning the tent. However, ensure that it has been dried up completely before storing.Keep in mind that the water that you used can be trapped in the tent. Since water is a natural solvent, it can eat away from the poles and anything else in the storage container.But that is not the only problem that will arise. Not drying the tent before storage will cause it to be a breeding area of molds and mildew. They can be difficult to remove. However, if you will be using the tent for several events over a short period, it is okay to keep them up. That is, you do not need to dismantle the tent each time. However, you need to clean the tents regularly. Make sure to remove the leaves and any debris that accumulates on the canopy. Now, if there are damages to the tent, make sure to repair them quickly. And yes, even if they are just small damages, they can turn into a bigger problem in the future. Small cuts and pinholes are common even in high-quality, affordable tents. But they can go bigger if they are found in areas that need stretching and pulling. To address these issues quickly, you can use liquid vinyl. Every time you notice some small cuts, ensure that you apply liquid vinyl immediately. Although it is okay to keep the tent up, you must only do so within a short period of time. If you willnot be using it for, say a week, make sure to dismantle it. Keep in mind that exposure to sun, rain,and wind can cause great damage to your tent. Now, if you are planning to use the tent as a permanent fixture in your house, then you can expect it to have a shorter life span. This entry was posted in Affordable Party Tents, Large Party Tents and tagged Affordable Tents in Tampa Florida, Party Tents, tents for sale tampa florida on March 12, 2019 by Tents Tampa. Most of us love to party. We celebrate any event in our lives, be it a wedding, birthday or anniversary. If you live in Los Angeles, you would want to have your party in the great outdoors. This is where party tents for sale in Los Angeles become useful. When choosing to have your event outdoors, you will have to provide you and your guests with a temporary shelter. In that way, everything will go well, even if it is sunny or raining outside. You can rent a party tent. 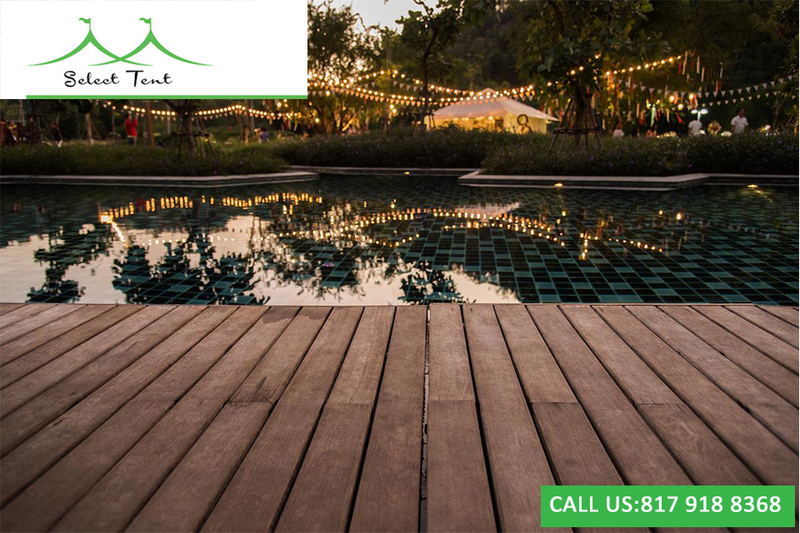 However, if you are the kind of person who loves to hold an outdoor party regularly, then renting becomes impractical. Enter party tents for sale. The question is should you purchase a used tent or a brand new? If you choose the former, you will have to find a trusted seller. However, if you do not know any trusted manufacturers of party tents, consider buying a brand new party tent. It will guarantee that you have a top quality party tent that you can use for many years. Purchasing brand new party tens will guarantee the tent’s quality. The reason for this is that you do not need to guess whether or not the tent has been treated well. You are the first owner after all. Then again, not all sellers of party tents for sale are reliable. Thus, you still need to be careful in purchasing brand new tents. Furthermore, you need to consider your preferences. That is, you must take into account the size and type of tent that you need. The cost of a party tent will depend on the size and type of tent you need. Thus, do not just focus on the price tag. Instead, you must evaluate how you are going to use the tent and how frequent. If you participate in a trade fair regularly, opt for a frame tent. It has a stronger framework, unlike a pop-up canopy. Now, what if you will not use your party tent regularly? What can you do with it? Do not store it in your garage or basement. Instead, you can resell it or start a party rental business. For many years now, Party Tents Tampa has been the primary source of party tents for sale. We ship our products worldwide. What makes us different from others is that we only opt to sell tents with superior strength. 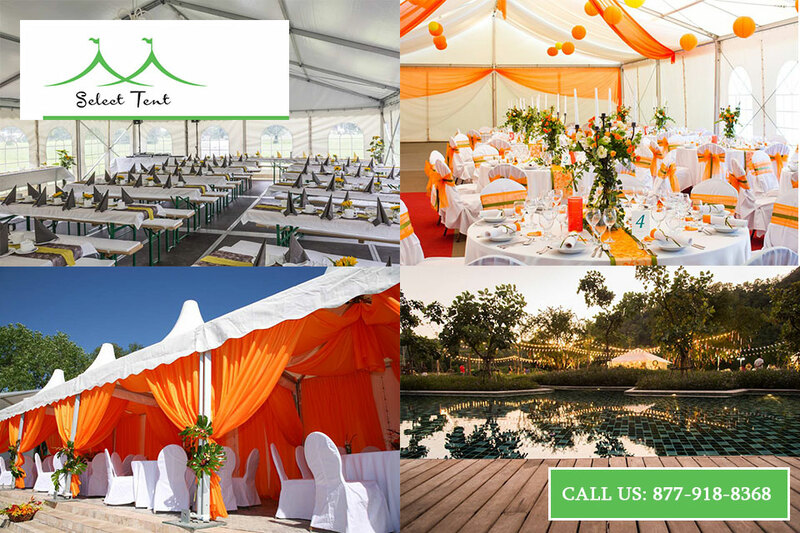 You can talk to our customer support team to help you decide what party tents for sale you can get for your LA party. 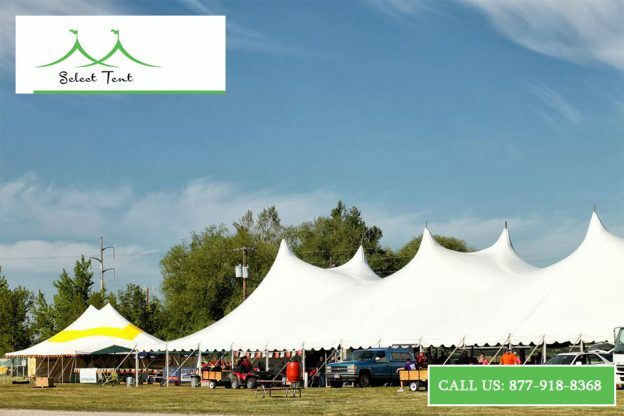 We can help you determine the right size and type of tent you need for your upcoming event. Call us today for consultation or you may start ordering at (877) 918-TENT. 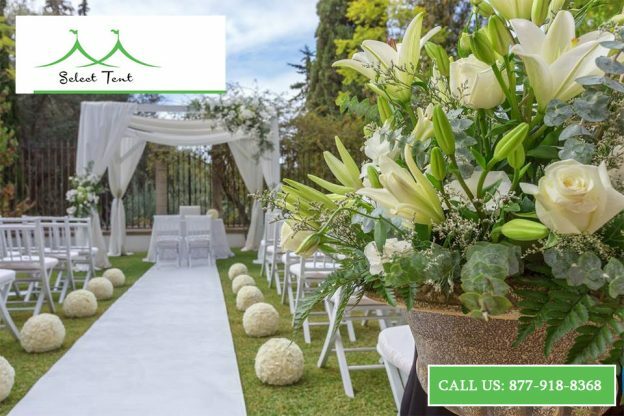 This entry was posted in Large Party Tents, Tent for Sale and tagged Party Tents For Sale In Los Angeles, Party Tents in Los Angeles on February 20, 2019 by Tents Tampa. Many young couples now are taking into account different ideas on how to personalize their wedding reception. One of the options is to set up a coffee bar. Some of our clients would choose large party tents for sale in Tampa so they can have a coffee bar. If you and your partner want a gourmet but simple reception, then make sure to consider having a coffee bar installed in a large party tent. Why Consider A Coffee Bar? Everyone loves coffee. Your guests would surely love it. You can rent a mobile coffee bar or you can set it up inside a large party tent that you bought from Tents Tampa. Having a coffee bar will set the tone and allow your guests to talk about your wedding reception for a long time. Or you can opt for cookies, whatever you wish. Coffee is a great beverage and it is a delicious addition to a slice of wedding cake that you serve. Serving coffee or providing latte with your guests will be a great addition to their piece of cake or cookie. It makes your wedding reception a more elegant affair. Coffee has the ability to boost other flavors. Hence if you serve it along with your wedding cake, it can help in improving the flavors of the cake and other desserts. It is especially true if you are serving chocolate cakes. They can get a large enhancement of flavor from just a tiny cup of java. Since your wedding cake is already a delicious treat, your guests will not have to add sugar in their java. Plus, you will help them stay alive up to midnight to celebrate with you and your partner. Drinking a cup of java can give you solid energy. Thus, when you provide a coffee bar at your wedding reception, your family and friends will all have the energy to dance all night. Of course, do not just give your guests an instant coffee. Rather, opt for delicious coffee that can simulate their minds so they can be up all night. Coffee will also balance out the beers that they consume. Thus, you can avoid having drunken guests at your wedding reception. Adding a specialty coffee bar in a large party tent is said to be socially responsible. Many of your guests will be drinking alcoholic beverages. You can sober them up by serving them coffee. And for your guests who do not consume alcoholic drinks, they can go to the bar and order a cup of latte or a black coffee. This will surely make your guests maintain calm throughout the night. In that way, when they go home, you know that they will be safe as they stay level-headed. What Kind Of Large Party Tent To Buy? 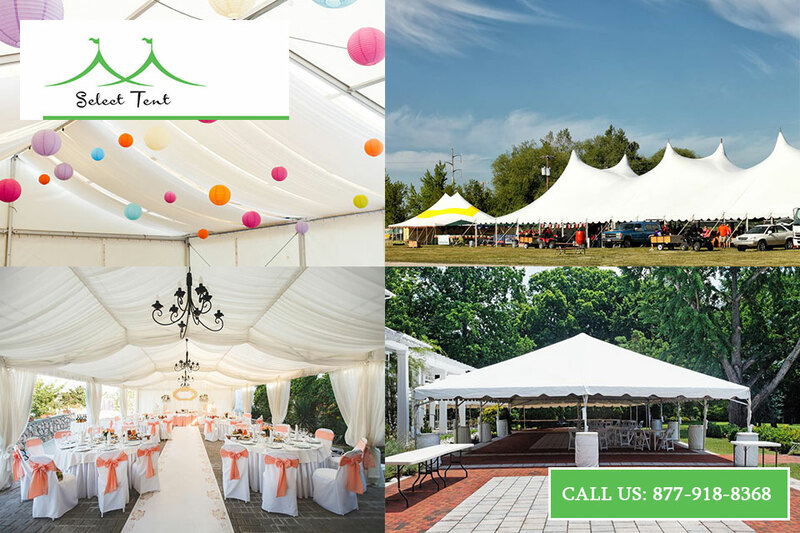 Here at Tents Tampa, we offer different sizes of party tents for sale. You can call our customer support today to discuss your plans. Our team can help you decide the right size. 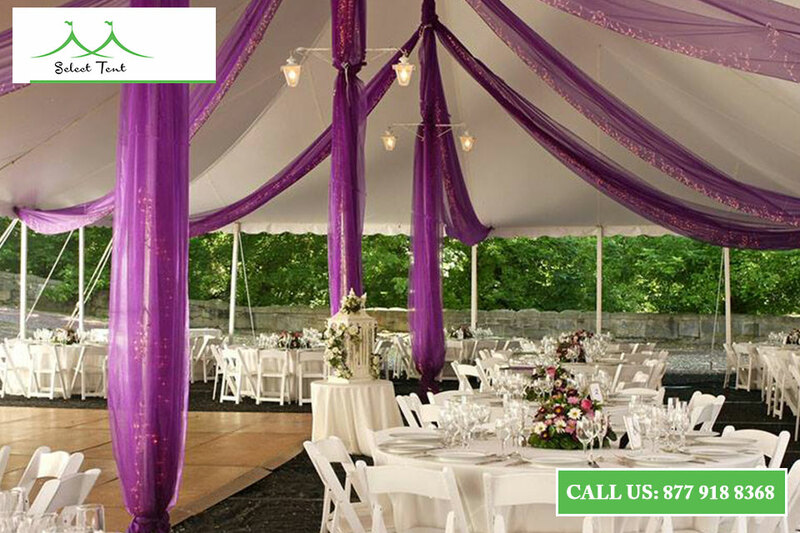 Contact us at (877) 918-TENT. This entry was posted in Large Party Tents, Tent for Sale and tagged Large Event Party Tents, Party Tents For Sale In Tampa on February 13, 2019 by Tents Tampa. The beautiful weather of Tampa, Florida allows you to hold a perfect outdoor party anytime. 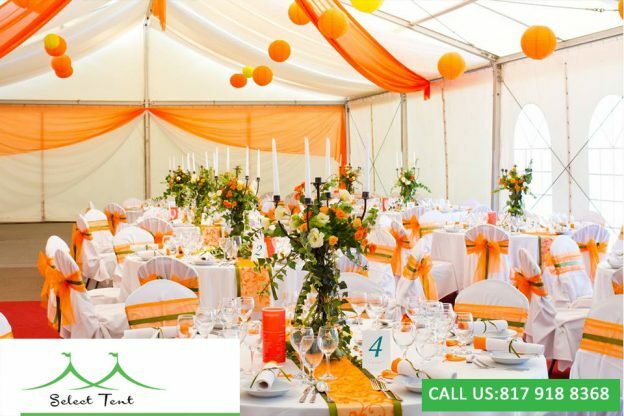 Many of our customers at Tents Tampa opt for Party Tents for Sale Cool in Tampa, Florida that they can use anytime they want an outdoor party or event. However, when you have a party during summer or any season, the weather can get a little too hot that it becomes uncomfortable. But you must never allow heat to ruin your event. When the temperature in your party tents gets high, you may apply some of these tips to keep the tent cool. Party tents are typically big. However, during hot weather, the inside of the tent tends to get hot. To prevent your guests from sweating profusely, you should use a cooling device. One of the favorite options is a cool box. You can put large, cool boxes in the corners of your tent. They can keep the tent’s atmosphere cool and comfortable.Cool boxes are different from a traditional fan because when the box evaporates water, it gives the tent an ocean breeze. The air above it will remain cooler. However, the cool boxes will not help against humidity. Nevertheless, they create a breeze of air that can be cooler than the room temperature. These are a few options when it comes to fans. You can opt for smaller fans that you can place on the tent’s posts for distributed cooling. Stand fans can provide maximum air circulation. There are fans you can purchase specifically designed to be used for party tents. Or you may opt to use an A/C rental. It gives you exceptional cool. Compared to fans and cool boxes, A/C can give you a powerful cool. This type of A/C will pump cool temperate directly into the party tent. No matter the hot temperature, you and your guests will be perfectly cooled while you enjoy the party. If you are putting the party tent for sale in your backyard, you should install it near a few sprinklers. The misting water can be of great help in keeping every guest cool. However, you must never put them too close to the tent. Otherwise, your guests will get splashed. Water inflatables are not party tents. However, you can use them along with your party tents to guarantee a perfect party experience. They will not only keep the temperate cool but they can also keep the kids cool while adding an extra delight to the party. At Tents Tampa, we sell different party tents for sale. Choose a size that lets you house your guests during hot weather. What is great about purchasing your own tent is that you can quickly install it any time you wish. Furthermore, you can keep it safe quickly and easily if you will not use it. 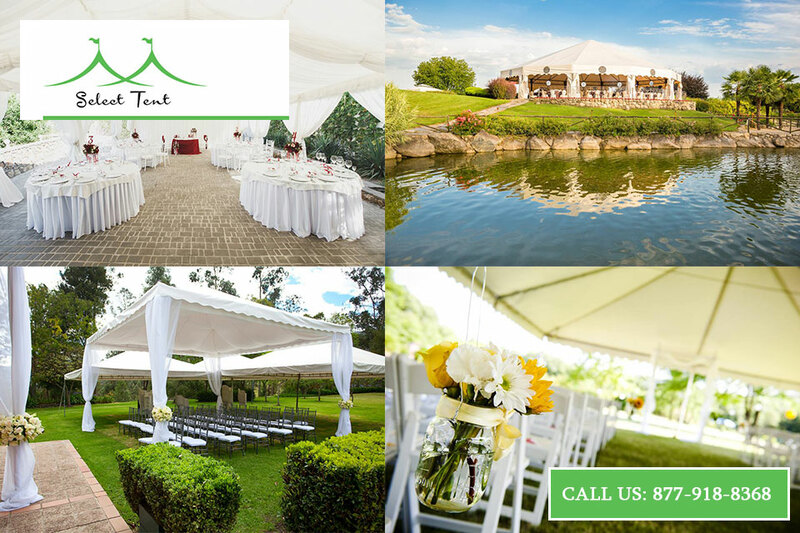 Call our party tents for sale experts at Tents Tampa to inquire about what kind of tent you will need for a special occasion (877) 918-TENT. This entry was posted in Large Party Tents, Tent for Sale and tagged Florida, Large Party Tents, Party Tents for Sale Cool in Tampa on January 14, 2019 by Tents Tampa. The warm weather of spring makes its a perfect time for you to host a party. There are several places to host your unforgettable event. If it is an outdoor event, make sure to provide your guests with some shelter. Take a look at some of our large party tents that you can purchase for your Spring party. No matter what the theme of your party is, having a party tent will prevent your guests from getting bored.You can add some video presentations and light shows to a party. Then, don’t forget to provide a dance floor. In that way, those who like to dance all night will be up and moving throughout the evening.You can even invite a live band to play at your event or ask a DJ to play classic tunes. Party tent is something that any person can enjoy. However, you must make sure that the music you play is ideal for your guests.It does not matter whether you invite a live band or hire a DJ. Having the right music will make your guests happy while moving their bodies. If you purchase large party tents, you cannot just use them for your spring party. Rather, these tents can be easily set up for your winter events or summer parties. What is the Perfect Tent Size? Are you planning to host a large event every year? If you are, then you might be considering purchasing a large tent. However, you should acknowledge that the biggest tent can be inconvenient to set up. Furthermore, you need to store it somewhere in your house or rental storage after using it. But don’t worry. 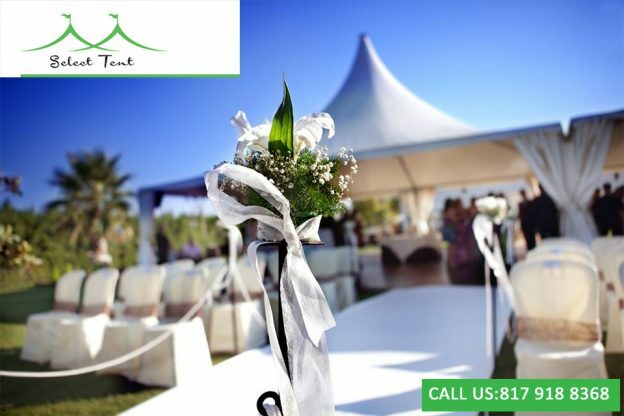 Tents Tampa is here to assist you to get the right large party tents for any events. Our staff is here to ask for your preferences. In that way, we can give you the right recommendations based on your needs. 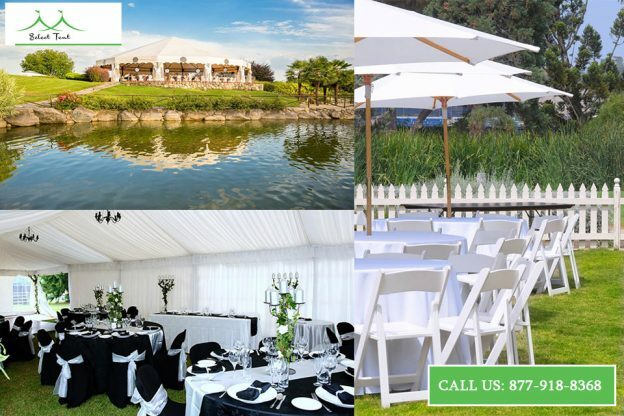 You may call our office today to inquire about our outdoor party tents in Los Angeles that you can use for any events you might be planning to host next year. 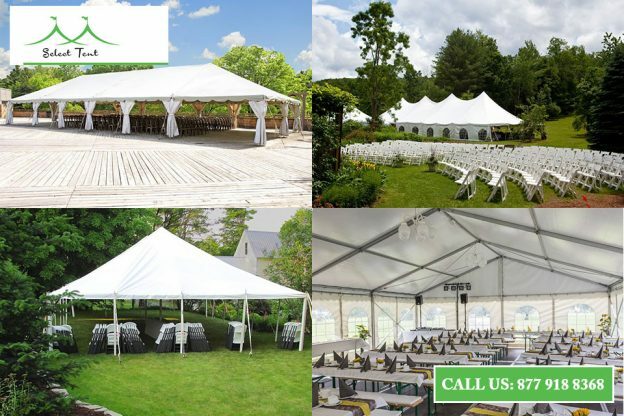 Our large party tents are not only durable but they are also affordable. It is true that you can purchase cheaper tents online, like eBay or Amazon. But the sellers there cannot give you an assurance that their tents can last for years.Our tents here at Tents Tampa are guaranteed to last for many years. 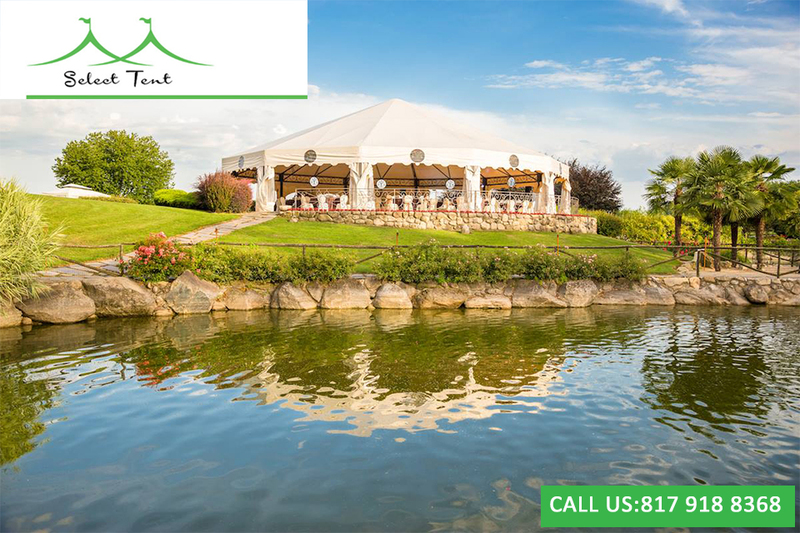 Speak to one of our team members today to know the right tent you should be having for your spring party:(877) 918-8368. This entry was posted in High Quality Party Tents, Large Party Tents, Tent for Sale and tagged Event Party Tents, Large Party Tents on December 20, 2018 by Tents Tampa. What Events You Can Host in the Tents for Sale in Tampa? Any wedding can be magical if it is held under a tent. 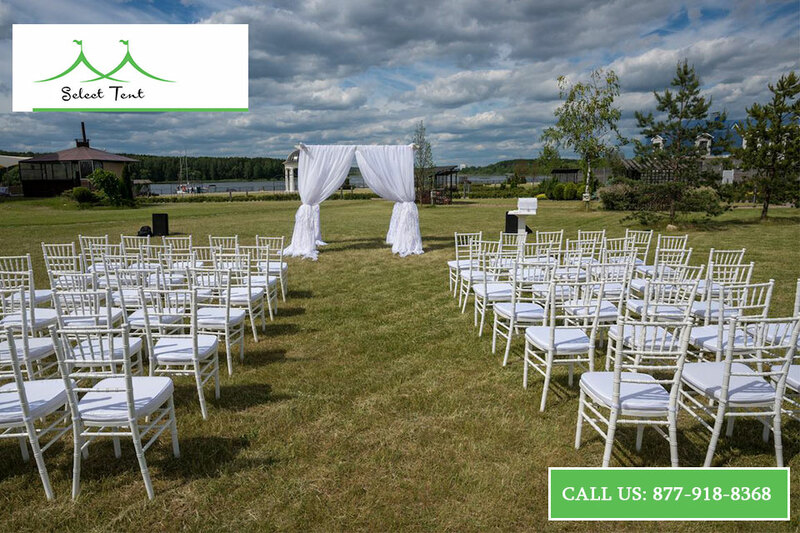 The enclosed space it provides can give you a feeling of holiness that cannot be offered in another location.Purchasing tents for sale in Tampa is more affordable than making a reservation at a traditional wedding venue. Apart from saving money, you can also provide a unique experience for your guests. Be it your child’s birthday party or your hubby’s party, parties in tents are great. You can hire a full-service option to serve your food. Birthday party in a tent will be sweet, whether it is an 80-year celebration or your chid’s debut. Corporate events can be held in any place. However, if you are launching a product or a service and you wish to wow your guests, make sure to have it under a tent. It will surely stand out.Any event can stand out if it is held in a unique atmosphere. 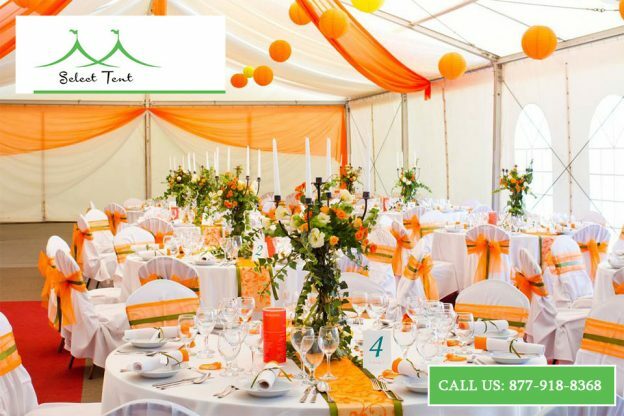 The tents for sale in Tampa will offer you reliability and you can use the tents for any events.You can shop for tents online if you are looking for cheaper prices. However, most of those tents are made of poor quality materials.But here at Tents Tampa, we ensure that the tents for sale we offer are brand new and are made of high-quality materials. They are designed and manufactured to guarantee safety.Furthermore, they are easy to set-up. Visit Tents Tampa if you are on the lookout for the best tents in Tampa, Florida. 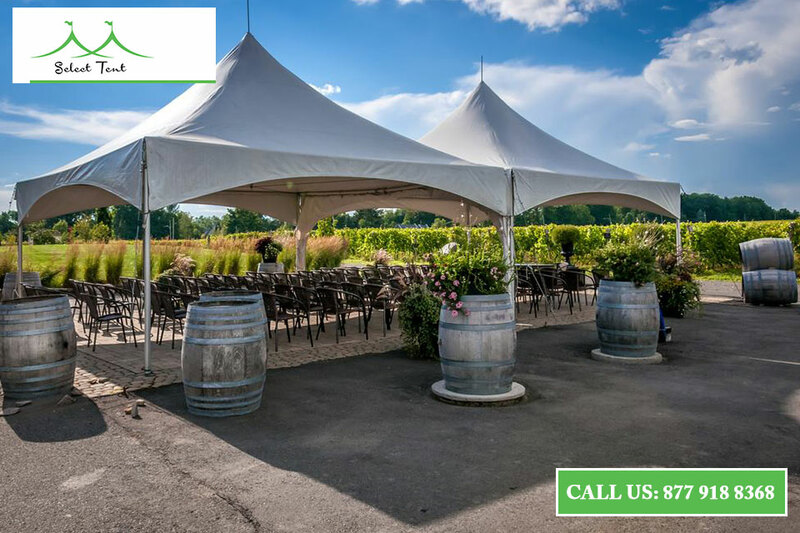 We have a wide selection of tents that are ready to be delivered.Give us a call today to inquire about a specific tent you need: 877-918-TENT. Our staff can help you find the perfect tent from our collection. We can guarantee that our tents for sale here can last for years. This entry was posted in High Quality Party Tents, Large Party Tents, Tent for Sale and tagged Large Party Tents, Tents for Sale in Tampa on December 13, 2018 by Tents Tampa.